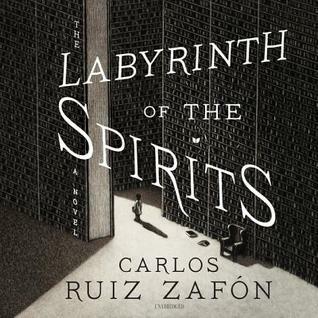 In this unforgettable final volume of Ruiz Zafon’s cycle of novels set in the universe of the Cemetery of Forgotten Books, beautiful and enigmatic Alicia Gris, with the help of the Sempere family, uncovers one of the most shocking conspiracies in all Spanish history. With her partner, the intimidating policeman Juan Manuel Vargas, Alicia discovers a possible clue-a rare book by the author Victor Mataix hidden in Valls’ office in his Madrid mansion. Valls was the director of the notorious Montjuic Prison in Barcelona during World War II where several writers were imprisoned, including David Martin and Victor Mataix. Traveling to Barcelona on the trail of these writers, Alicia and Vargas meet with several booksellers, including Juan Sempere, who knew her parents.